← What is your RDF browser’s Accept header? 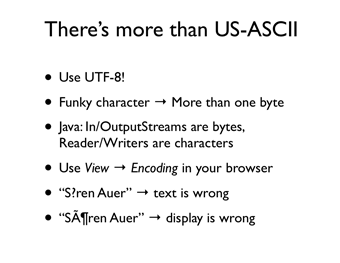 Your “There’s more than US-ASCII” -slide is excellent! I’m wondering whether it is intentional that, throughout your blog, there are funny characters like ” â€ “. ” FernÃ¡ndez ” is a funny name.